Get 3 FREE guides and templates! Marketers need the right tools to do their jobs well. So we've prepared a kit just for you, perfect for this time of the year. 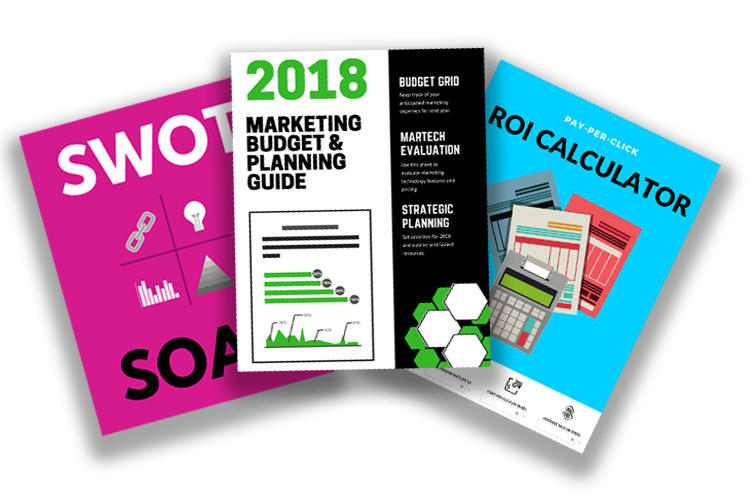 Whether you're strategic planning, budgeting, calculating the ROI of your current marketing spend, or evaluating marketing technology, these ready-to-use resources will help you stay ahead in 2018. Fill out the form today to instantly get your kit!